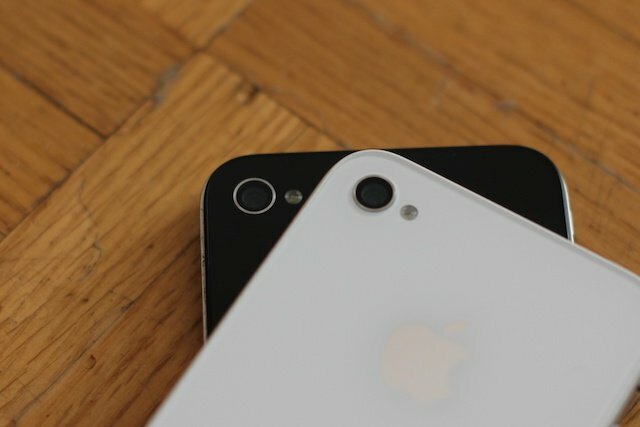 Black or white: Which iPhone 4S color should you choose? 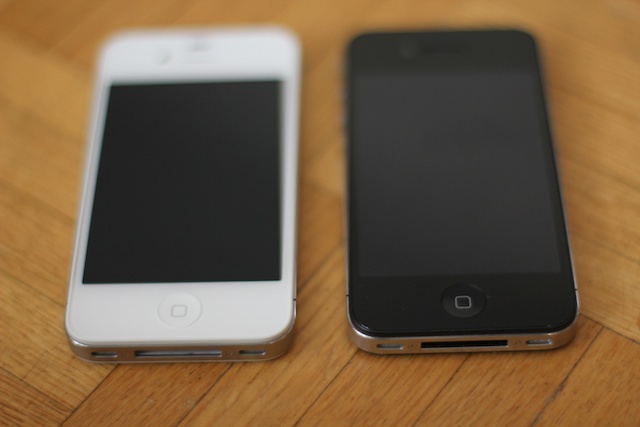 The white and black iPhone 4S are identical in terms of which carriers they work on, which storage capacities they come in, and nearly every physical detail other than color (the white one has some slight cosmetic differences to let the light sensor work, see pictures of the iPhone 4 below by way of example). There remain, however, some some things to consider. TV sets usually come in black for a reason -- when you're watching a show or a movie, or playing a game, you want the TV set to disappear, so you can enjoy what you're doing without noticing a big colored rim around it. The same goes for iPhone 4S. Some people find having a white faceplate very distracting when they're watching videos or gaming, and others just don't like the contrast between the white border and the black screen when the device is off. It's very "panda". Others aren't bothered by a white border at all and really like the two-tone look of the iPhone when its off. 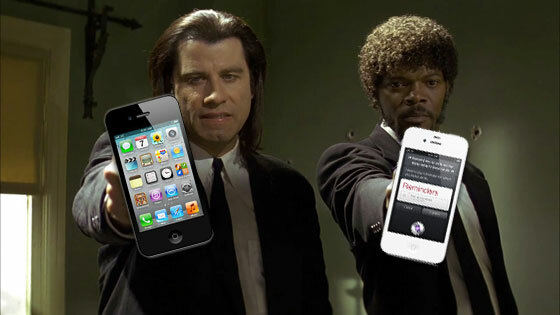 I've had both a black and a white iPhone 4 and have never been distracted nor irked by either one. If white catches your eye a little too much, however, you might want to stick with black. Rumor has it Apple delayed the launch of the white iPhone 4 in order to improve the UV protection and prevent discoloration. That's just a rumor, however. While the white iPhone 4 has only been on the market about half as long as the black iPhone 4, there haven't been any widespread accounts of discoloration and my own white iPhone 4 looks as white now as it did the day I bought it. It will probably take another year to convince everyone that white holds its color fine, but if it's something that concerns you a lot, you might want to stick with black. Will white fit in my case? 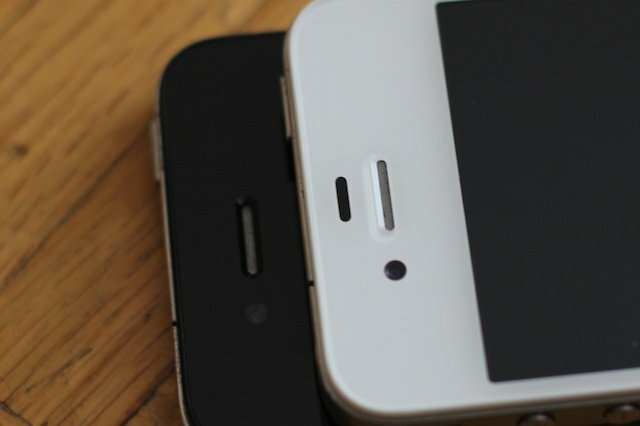 The white iPhone 4 was 0.2mm thicker than the black iPhone 4, which is well within Apple's official accessory tolerances given to case makers. However, not all case makers followed those tolerances so there were some cases that were a little tight on the white iPhone 4. We'll have to wait to measure the white iPhone 4S, but even if it shares that same, tiny, 0.2mm difference, case makers have had months to plan for that and learn to follow the tolerances appropriately. However, if you insist on using the skinny hipster jean equivalent of an iPhone case, and you're really worried about it, you might want to stick with black. Some people just love the look of a white phone, whether it's iPhone, BlackBerry, Android, or whatever. They often get shipped later or come in more limited quantities so there's an air of exclusivity about them. At the end of the day, you need to buy what you like. White tends to stand out more and can be more obvious with brightly colored cases. Is that something that appeals to you? If you want to be subdued and not so wicked obvious about your phone, you might want to stick with black. So which color should you get? At the end of the day, the only real answer is get the color you like better. Everything else is manufactured anxiety at this point. Just close your eyes, picture your iPhone in your hand, and carefully look at what color you're picturing. If you need extra help or want extra opinions deciding whether you should get the black or white iPhone 4S, jump right into our iPhone 4S Forums and ask away!